Finally, a picture without someone’s eyes closed! These two are so happy to tie the knot. I think they are ready for the cake. I love making cats. I don’t mind the kind that don’t shed, claw the furniture and hack up hairballs! I do love Dinah and Fred(our real kitties), but sometimes they drive me nuts! 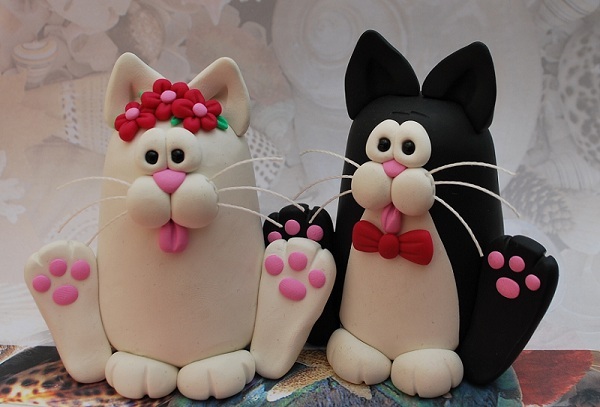 The polymer clay cats are available in my Etsy Shop.